Hear from local experts about politics, religion, and gender roles in Moroccan society. 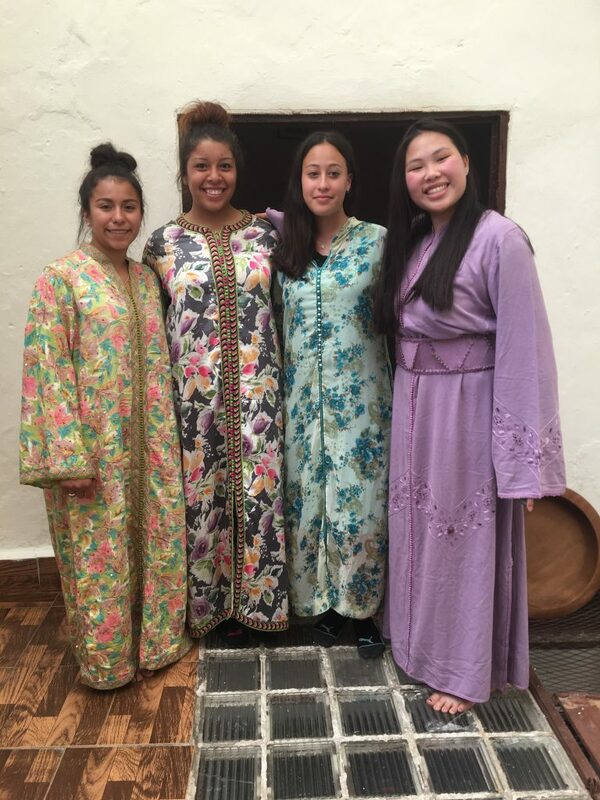 Learn about the culture through seminars on Moroccan etiquette, dress, and different types of headdresses and typical veils. 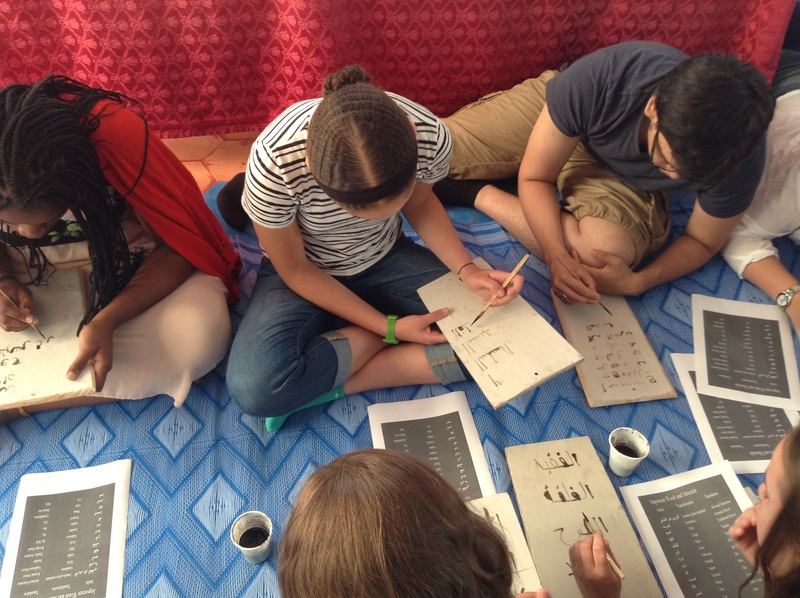 Begin your Arabic language lessons, learn about the Moroccan ‘Darija,’ and practice common local expressions with your group and locals. 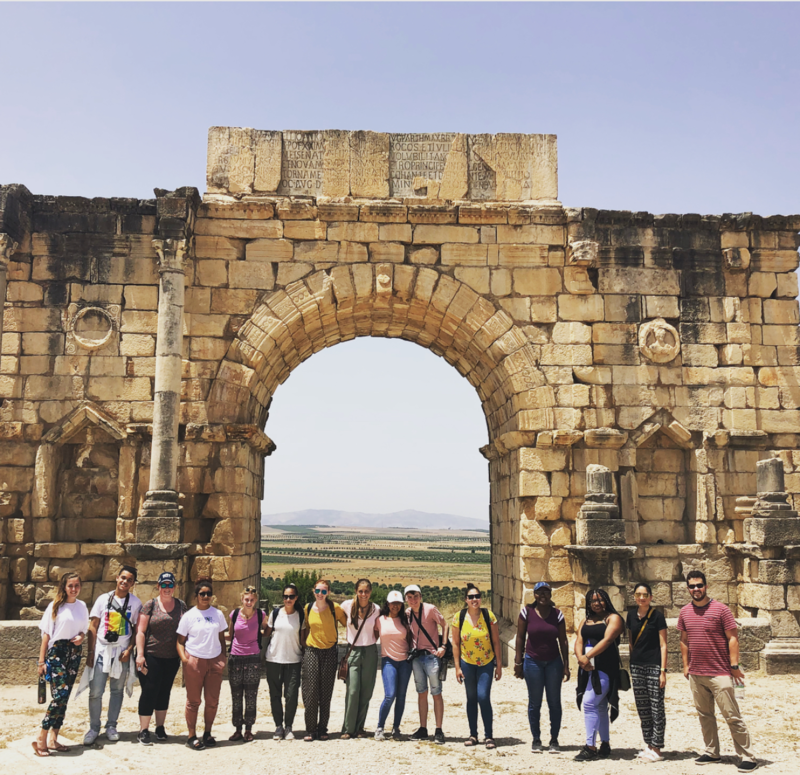 On your way to Fes, stop at the Volubilis archeological site, a UNESCO World Heritage site, learn about the history of the region, and enjoy a picnic lunch near the ruins. 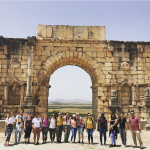 Take a guided tour of the Medieval Medina in Fes, exploring the madrasas, fondouks, palaces, and fountains. 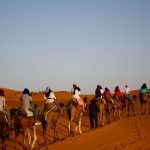 Spend a day in Ouarzazate, a dessert city of quiet, sandy streets, palm trees, and blocky, fort-like buildings that have been a backdrop for many blockbuster movies and popular television shows. During this period, you and your group will stay in hostels, hotels, and a tent camp. Become fully immersed in the daily life of a Moroccan family and community by sharing meals with them and joining their typical activities. Explore your host community through a mapping activity with your group and visit the local village market. 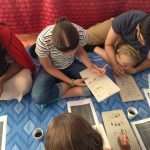 Continue to take Arabic language lessons and practice with your family. Participate in a community service project and help teach English to local children. Observe and learn techniques from local weavers. 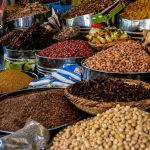 Learn to cook traditional Moroccan meals such as couscous, tagine, and msaman. Experience traditional music and dance including the Abidat Rma dance and local drumming. 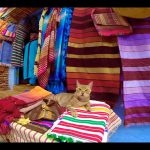 On your way back to Rabat, stop at the coastal town of Asilah, explore the old town medina within the 15th century gates, take in the vibrant local art scene, and visit one of the relaxing Atlantic beaches. 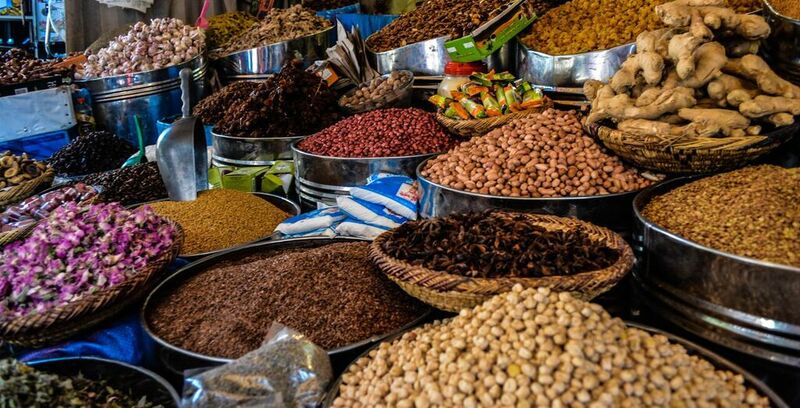 Enjoy some last-minute shopping and a final Moroccan meal in Rabat. Born and raised in Kansas City, Missouri, Ryan Buck graduated from Dickinson College, where he received a degree in music composition and French after studying abroad in Toulouse, France, for six months. Having first been a student on The Experiment to France in 2007, Ryan continued his journey with The Experiment as a leader to France in 2013 and a leader to Morocco in 2014. In September 2014, Ryan returned to The Experiment yet again, to take on the full-time roll of assistant admissions officer. While in college, Ryan directed an a cappella group called The Infernos, he performed as an improvisational comedic actor, and he worked as a professor’s assistant for Music Theory and Fundamentals courses. 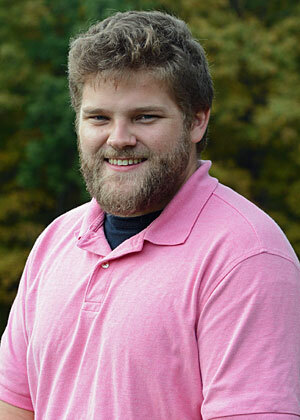 Before college, Ryan worked as a theatre teacher and director at summer camps for multiple years. He enjoys sports, traveling, and playing and writing music. 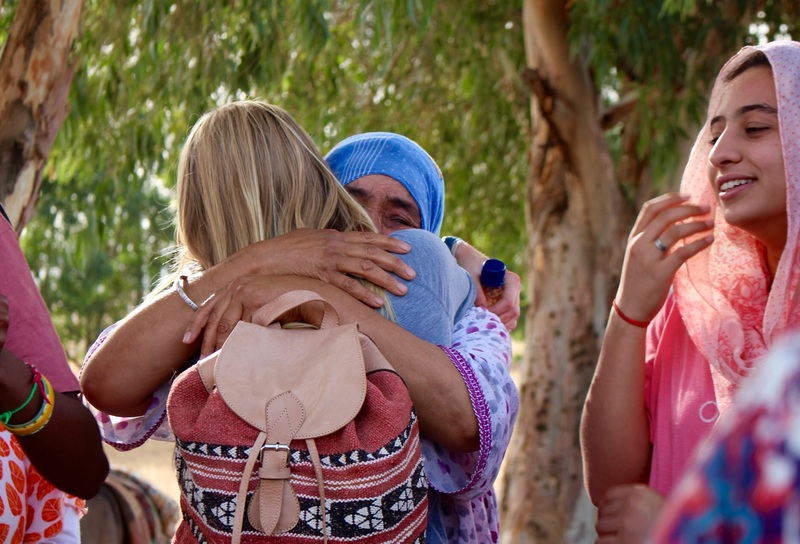 Whether encouraging and supporting self-awareness among youth of North Africa or working with youth on outdoor programs in the Pacific Northwest, Anna is committed to empowering young people to make positive changes in their lives. 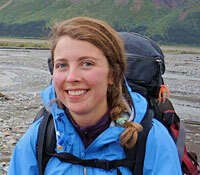 After serving as a Peace Corps Volunteer in Morocco, Anna joined the Northwest Outward Bound School as an instructor. 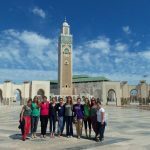 Her passion for education, youth development, and travel has taken her all over the world to teach, explore, and discover; with in-depth experience in Europe and North Africa, Anna is skilled in both French and Darija (Moroccan Arabic). Hailing from Washington State, Anna is a certified Wilderness First Responder who spends most of her free time backpacking, climbing, being outdoors, or thinking about being outdoors. In fall 2014, Anna embarked on a new adventure in Washington, DC, to pursue her MA in global human development at Georgetown University. Morocco has the most beautiful culture, language and people. Every corner I turned I felt as if I was learning something even more exciting or seeing something more beautiful. The Experiment does a good job of providing an orientation into the country, which helps you to see many of the underlying social issues and aspect of the culture you are immersing yourself in. The homestay was by far my best part. If you are worried about staying with a new family- don’t be! The cities were amazing, as expected, but the one that really stood out to me the most was Merzouga, or in other words, the Sahara Desert. It was an place I never thought I would have the opportunity to experience, and the whole thing was a dream. 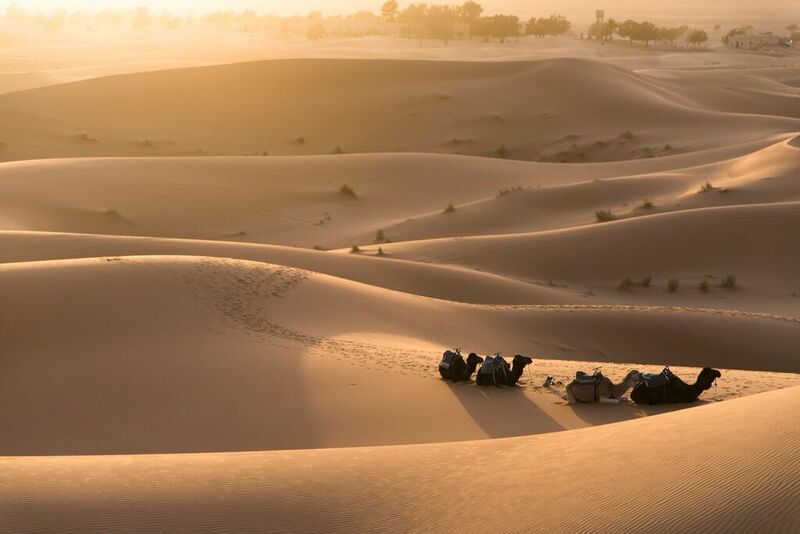 From riding camels and watching the sunset on top of the perfectly geometric dunes to the sleeping out under the stars, I could not have asked for anything better. The other students were fantastic, like-minded individuals, and our in-country leader was fantastic. We were able to explore many different aspects of the country, from the urban to the rural, and I feel I came away from the trip with a genuine sense of the country’s culture. As we drove away from the village, I looked back at the dusty road rolling off into the hills, at the small houses (huts even, by our standards) that dotted the rolling land, back at the people who lived such simple and humble lives and marveled at how they had managed to establish what one could think of as a little bit of paradise. During my stay with the host family, I realized that all the doors didn’t have locks and other families in the village had the same situation. The reason was because everyone in the community was so trusting of each other and looked out for one another. 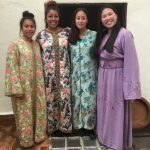 While in the village I spent my time learning how to cook traditional Moroccan meals, building a bathroom for the school as community service, learning how to weave a carpet, teaching the local kids English, and continuing my studies of Darija. From the very start of my Morocco adventure, I did not stop learning and developing new ways of looking at things. The orientation in Rabat prepared us well for living in Morocco. 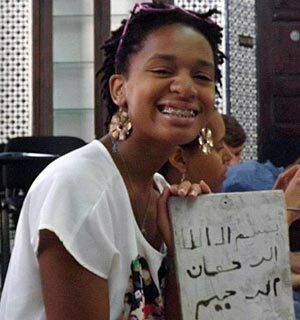 The Darija, Maghreb Arabic, lessons we had were very effective, and they actually enabled me to pick up the language a lot faster than I expected. 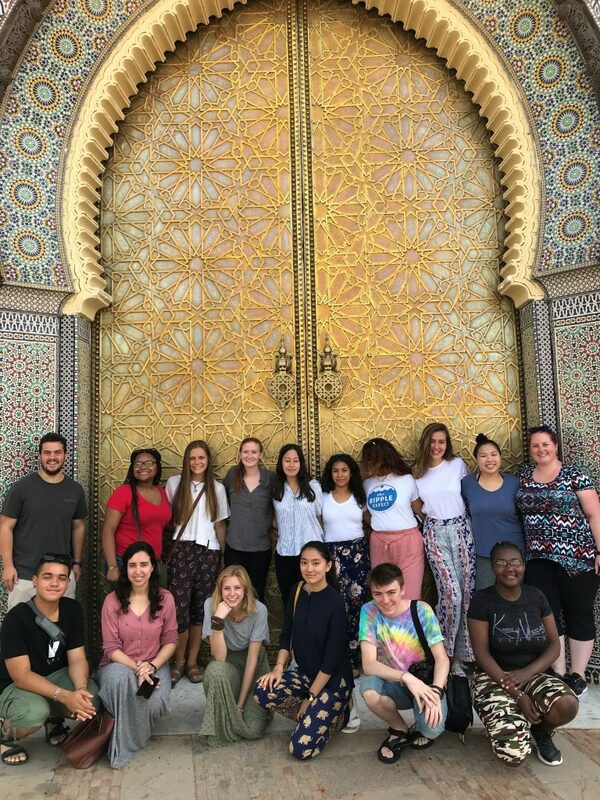 The cultural exploration and scavenger hunts around Rabat were also a lot of fun. 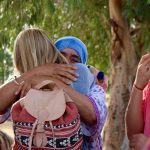 I particularly appreciated learning about the taboos and cultural norms of Morocco before we started our homestay in the village. I was blown away to see how compatible all of the EIL group members were with each other. The size of the group also helped us to get close and to make relationships that a larger sized group may not have permitted. I have never been in a group for this short of time and felt as though I have known everyone for years. We all opened up and experienced the same things together, which helped us bond and learn. 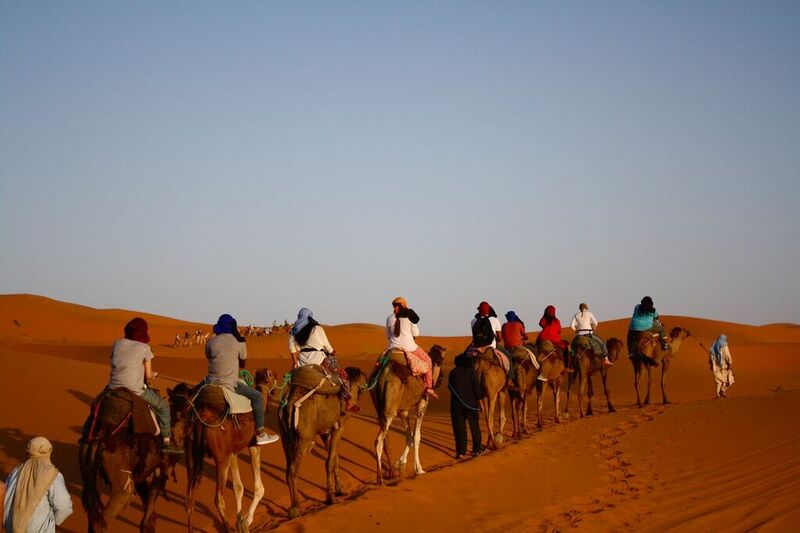 Before we started our homestay, we visited the desert. 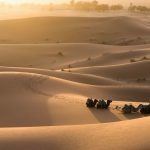 It was awesome riding jeeps far into the desert and then jumping on camels to walk even further over the dunes in what felt like a moonscape. We stayed in a great small hotel where we slept on the roof and gazed into the sea of stars. 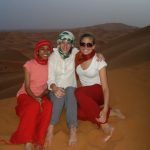 Even though many of my group got sick that day, including myself, it was unforgettable and I really enjoyed the desert. My homestay in Loutichina village was extremely fascinating. My family was hospitable and made me feel at home immediately. From the first day with them, I worked in the fields with my father, watered crops with my brothers, cooked lunch and dinners with my mother, and shared conversations in broken Arabic with my grandmother. I realized throughout how similar my family back home was with my host family in the middle of North Africa. I feel deeply that we share so many more similarities than differences, once you look past materialistic things. I lived a good mile from the center of town along a path. Our group taught children English and math at the local village school. Teaching these children was one of the most rewarding experiences I have ever had. It felt really good to watch as they progressed and learned day by day. I was surprised to see that every day, more and more children would attend the classes as word got around the hill sides that Americans were teaching morning classes. That made me feel great and I felt I was making an impact on their lives. We also helped build the local association building, but the teaching meant much more to me. During our time in the village, we also took cooking and weaving classes. The cooking sessions taught us the basics of North African cuisine and we got to make some neat meals. The weaving turned out to be very interesting for several reasons I did not expect. I found that it was very therapeutic to me. I was able to see and help wit the development of the entire rug, from building the looms to weaving the piece row by row. As it developed, I felt a building sense of accomplishment and calmness. The best part was seeing the results of our weeks of weaving. I learned the process and hard work that local woman go through to make beautiful rugs. I now have a totally new appreciation for this type of hand work. 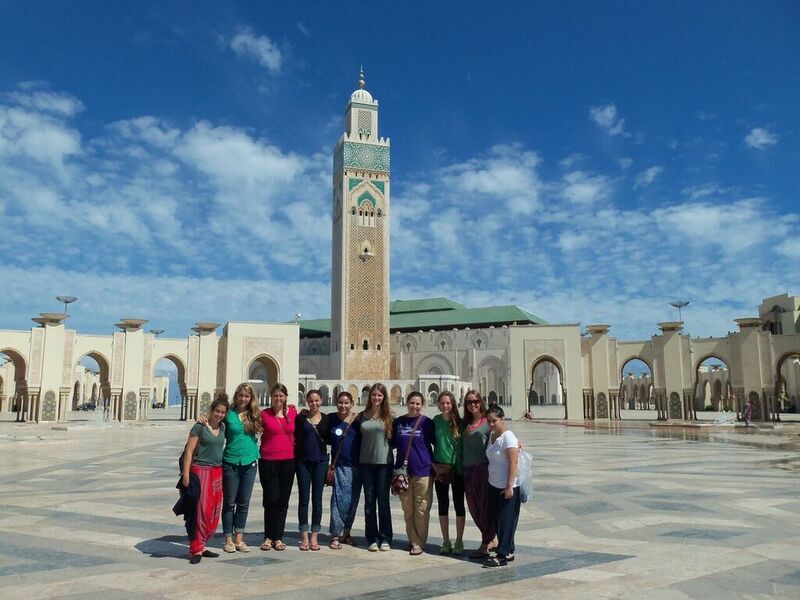 After saying goodbye to our families and all the people in Loutichina, our group traveled to Marrakech and Essaouira. These were my two favorite cities in Morocco. 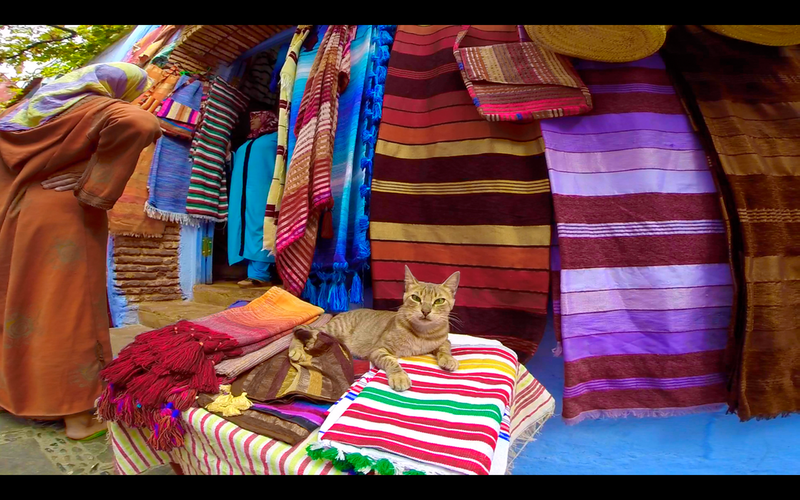 In Marrakech I was able to see things that were so out of the ordinary. People screaming for your attention in the market stalls, snake charmers playing the flute, and monkey performers were all around you. In Essaouira we saw the cleanest beaches of Morocco. The atmosphere was relaxed and focused a lot on music and the arts. Essaouira was also a place where the influences from Europe and the rest of the world were very present as a resort sight with great hotels, restaurants, and activities that draw tourists. 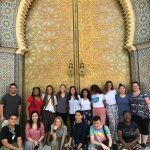 To sum up, EIL in Morocco was one of the best experiences of my life so far. I never would have thought that I would be able to live on a farm in rural Morocco and explore so many places so closely. I helped my host family with their daily work and felt as though I was a real part of their family. I also gained a lot of new self-confidence while on this program. Making such a big difference is the lives of others and having other people make a difference in my life in such a short period of time, only five weeks, puts many things into perspective for me. I learned that so many things are possible if you set your mind to it and attempt something new. The results from trying the unexplored and new are very fulfilling and it is the best way to learn and grow.